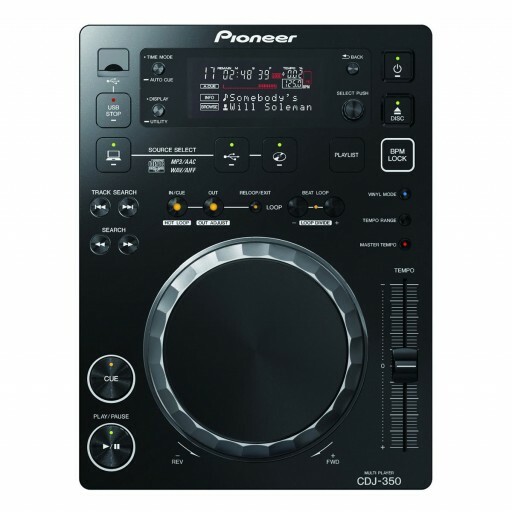 The CDJ-350 will allow users to create DJ performances with various digital music files including MP3, AAC, WAV and AIFF files that are stored on different forms of media, including USB mass storage device class products or CD-R/RW discs. The media player also includes Pioneer’s proprietary music management software, rekordbox™, making it possible to manage music files on a computer for quick song selection when played back on compatible Pioneer players. Compatible with Various Media and Music Formats – Playback ofMP3, AAC, WAV and AIFF files recorded on USB devices and CD-R/RW discs as well as conventional music CDs. rekordbox™ Music Management Software – Through the rekordbox software, music files are analyzed by BPM2 and beat position and can be categorized by genre. Analyzed music can be selected by genre, album or artist on the CDJ-350.